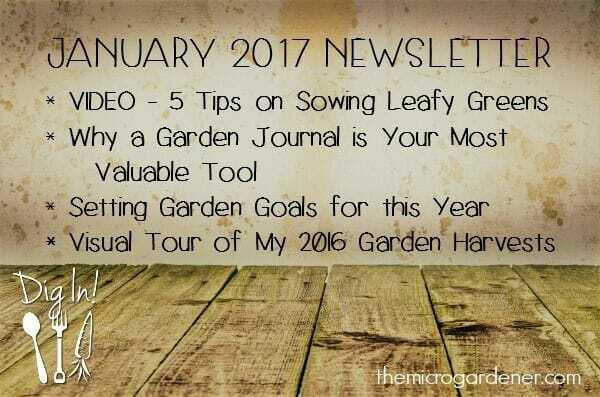 Hi and welcome to the first Newsletter for 2017 in a new fresh format! 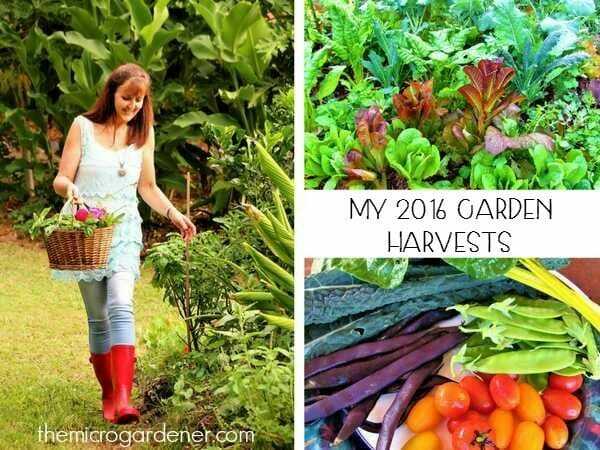 Each month I’ll be sharing a short ‘How To’ video plus bite-sized tips and inspiration to help you grow an abundant, healthy garden in just minutes. Dig in! In this quick 2 minute video clip, I share easy-to-apply tips on succession planting, varieties, microclimates, harvesting and nutrients. Like this video? Let me know in the comments if you found this helpful. Leafy Greens: Did you know? Dark leafy greens are high in magnesium, an important nutrient often missing in our diets. This mineral is responsible for many chemical functions in your body and deficiencies can results in a variety of health problems. 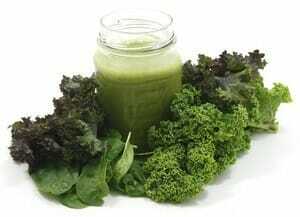 Add a few spinach or kale leaves to smoothies, lightly steam leafy greens with your meals or enjoy raw in salads. To start the year off, I thought I’d share a few photos of what I’ve grown and harvested from my garden in the last year. preserve the harvest in many ways. In addition to the many flowers, annuals, perennials, natives, trees and shrubs in our garden, these are a variety of the seasonal edibles I’ve grown. So tuck in! 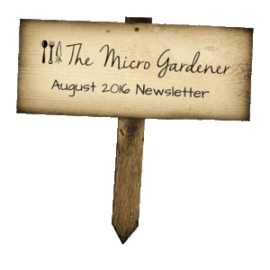 If you missed the tips in my last newsletter, CLICK HERE. Download Adobe Acrobat Reader free here.